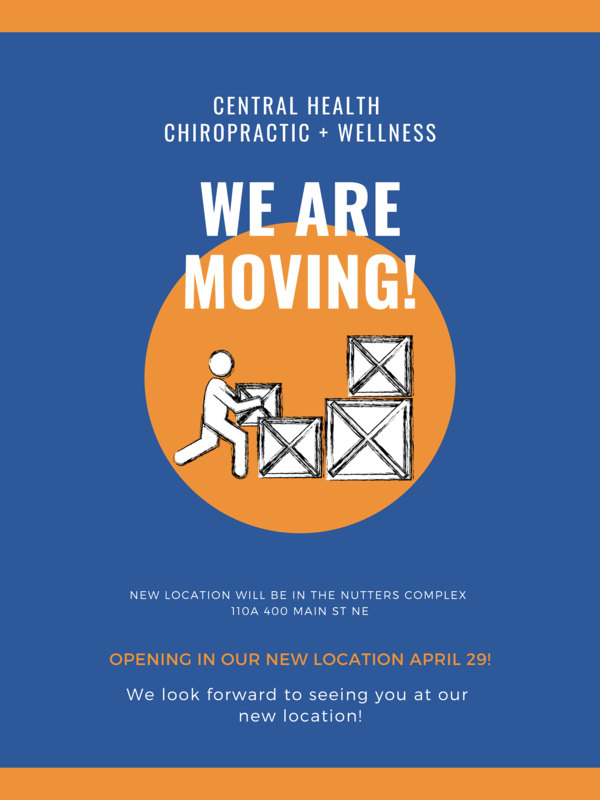 Central Health Chiropractic and Wellness Clinic is a well-established family orientated office on Main St, in Airdrie. We offer a multidisciplinary approach to better health and wellness. Our services include chiropractic care, massage therapy, prescription orthotics, holistic nutrition, manual osteopathy, accupuncture, USANA supplements, cupping, reflexology and reiki. Our non-invasive services focus on facilitating balance between your body and mind. Our office’s focus is you, the patient, and our philosophy is help the body function at it’s best. While our treatments are specific to you and your health needs. recognizing that we genuinely care about your health and future. You can expect an honest explanation of your condition, and our goal is treat the problem not just mask the symptoms. We are Workers Compensation Board certified and offer Direct Billing for chiropractic to most insurance companies. To live a full and healthy life, you’ve got to take care of its foundation: your body. We look forward to working with you and your family to achieve your health and wellness goals, whatever they may be. Please contact our office to request an appointment time that fits your schedule. Central Health is Workers Compensation Board certified. We treat motor vehicle accident patients. We care about your health, including wallet worries, that’s why we bill directly to Alberta Blue Cross, as well as the following insurance companies for chiropractic . Several of our massage therapists also offer direct billing.